The web is becoming increasingly saturated, which means more sites, more content and—most worryingly—more competitors. Standing out from the crowd can feel like a constant uphill battle, but becoming a front-runner isn’t just about originality. Sometimes, the best way to beat the competition is to scrutinize what they’re doing to determine how you could incorporate similar methods to benefit your brand. Follow our steps below to find out how to locate your strongest competitors and ensure their techniques work for you. It might seem obvious, but identifying your competitors can be tougher than you think. You should already have a clear idea of your direct competitors—those offering an almost identical product or service to you—but how clued in are you on your indirect or perceived competitors? Indirect: These competitors offer similar products and compete for the same customers but sell goods outside of your niche, too. For example, a supermarket and mobile phone brand are indirect competitors. Supermarkets sell numerous electrical goods—including mobile phones—alongside food and beauty products, which a smartphone brand doesn’t sell. Keyword analysis will reveal your indirect competitors, helping you determine who else is ranking for the same product terms. Perceived: Perceived, or “replacement,” competitors are the hardest to identify. They may not sell a similar product to you or belong to the same industry, but they compete for the same time and energy a customer might reserve to enjoy your product. For example, digital camera brands now have to compete with mobile phone companies, as smartphone features have improved, eliminating the need for a separate gadget. Social listening tools and customer surveys are the best ways to identify customer interests that might conflict with your product. Once you have collated a list of each type of competitor, narrow it down to between three and five—covering each type—and begin your analysis. 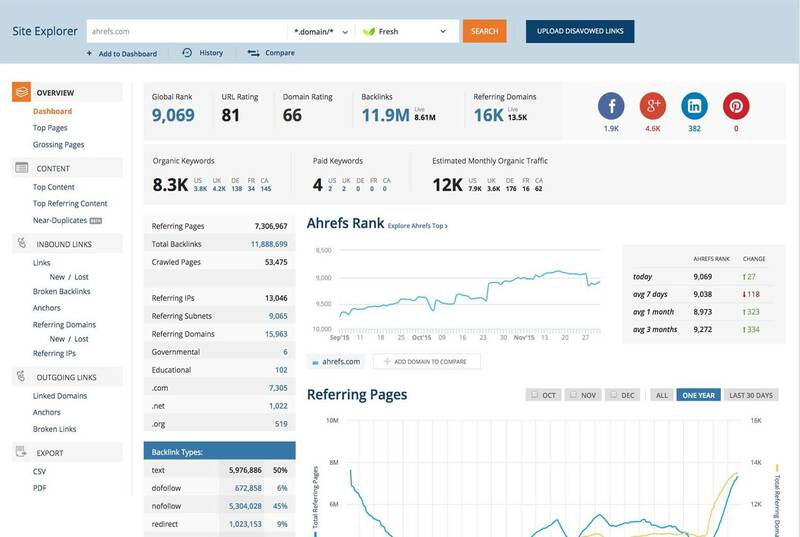 Scan your competitor’s site to locate their most shared pages; a tool like Social Crawlytics can help with this. By finding your competitors’ best-performing pieces of content, you can determine which topics and content types might work well for you, too. Ensure you include content at every level, including large scale “hero” pieces, “hub” content (like guides), as well as “hygiene” pieces, including blog posts. Social shares are a good indication of the types of content resonating with your competitors’ audiences—the same audience you’re trying to target. The level of social shares won’t necessarily mean the piece generated lots of quality links as well, but it points to topics that your customers care about. Use this information to test the topics for yourself, even if you start with something small, like social posts or articles for your blog. Are they tagging titles correctly? Do they utilize multimedia content to keep readers on site? Once you’ve scrutinized the page for these factors, you can delve deeper into more advanced SEO. Your competitors may be using onsite techniques that you’re not, which could be hindering your chances of outranking them. For example, websites on HTTPS can implement HSTS, which tells search engines your site is secure. Using AMP, or accelerated mobile pages, will improve load speeds on mobile devices. JSON Schema is an advanced way to mark up your site with Java, making it more flexible. If your website is slower than your competitor’s, or your code isn’t as advanced, you might struggle to catch up. 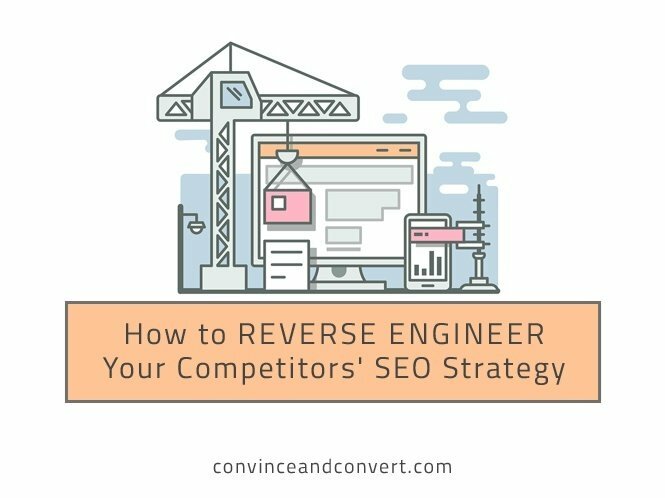 It’s important you get clued in on advanced SEO techniques or employ a technical SEO pro to review your competitors and locate opportunities that you could bring into your own strategy. There are numerous benefits to studying your competitor’s backlinks; namely, that you can pinpoint any new (and successful) campaigns they’re running, as well as build a prospecting list of your own. Ahrefs allows you to identify any sudden spikes in links pointing to your competitor’s site. You can then drill down into these fluctuations to determine whether the growth correlates to a new campaign. Any spikes related to specific niches (the anchor text should give this away) are key indicators of topics proving popular with a wider audience. Could you create something of similar worth? Is the topic something you could cover on a smaller scale? Use this opportunity to analyze the sites that have linked to your competitor’s top-performing pieces of content. Have your competitors tapped into a niche that could benefit you, too? Take note of any industries, as well as specific sites, that you could target as well. This technique is useful for building up a targeted prospecting list, relevant to any new campaigns you’re building. However, even the best pieces of content won’t generate backlinks without some blood, sweat, and tears. If a competitor has built anything similar, whether by content type or topic, review the backlinks and note who has linked to it. If a site was interested in a similar piece in the past, they’re likely to appreciate any updates or additional insight you can provide. Analyzing your competitors is great, but if your findings are spread across multiple documents, it’s unlikely you’ll be able to reverse engineer their techniques effectively. A presentation is often the best way to easily review, and convey, your findings. Split sections by competitor, then note your onsite and technical findings. Include separate slides for any specific campaigns you have scrutinized in more depth for backlinks. Add the strengths and weaknesses of your competitors for easy reference, and conclude the presentation with clear bullet points of your next steps. Even better, prioritize the steps, and add dates to encourage you to action your findings. Examining and evaluating your competitors’ efforts can be an excellent way to inform your future SEO strategy. Original ideas are great for quick wins, but you need to regularly monitor the competition to ensure you’re clued into what they’re doing and guarantee you’re not trailing behind. Start by identifying the key players, determine what they’re doing that you could be, and put together a plan of action.